New York, NY – February 3, 2009 – Acquavella Galleries will present the first U.S. solo exhibition of Chinese contemporary artist Zeng Fanzhi from April 2 – May 15, 2009. Most of the approximately 20 oil on canvas works in the exhibition, featuring Fanzhi's newest landscapes and recent portraits, will be shown publicly for the first time. Fanzhi is one of the most in-demand of his peer group, and set a new world auction record for Chinese contemporary art in May 2008, when his diptych Mask Series 1996 No. 6 sold for $9.7 million at Christie's in Hong Kong. "We look forward to presenting Zeng Fanzhi's first exhibition in the United States," said William Acquavella, President of Acquavella Galleries. "Since the early 1990s, he has been shown in major museums and sold by major galleries and is now the most admired figurative artist of his generation in Asia. His powerfully distinctive paintings explore personal identity and social convention." Zeng Fanzhi was born in 1964, and came of age during the Chinese Cultural Revolution. He studied at the Hubei Academy of Fine Arts in his province, where he was deeply influenced by Expressionism. From his graduate work on, Fanzhi's paintings have reflected these cultural and critical touchstones, from his breakthrough "Mask" series, featuring Chinese youths wearing the traditional bandanas of the Red Guard, to portraits of Communist figureheads such as Marx and Chairman Mao, to his recent abstract landscapes filled with intense brushstrokes and primary colors. Since 1993, Fanzhi has lived and worked in Beijing. 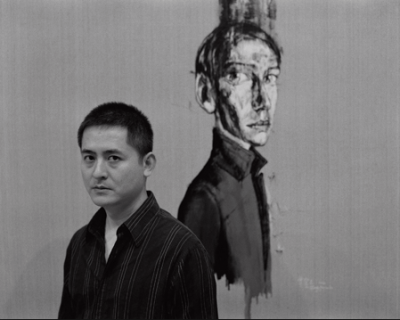 He has exhibited widely at acclaimed institutions such as the Shanghai Art Museum, National Art Museum (Beijing), Kunst Museum Bonn, Kunstmuseum Bern, Santa Monica Art Centre (Barcelona), and Art Centre (Hong Kong). The exhibition will be accompanied by a catalogue with full-color reproductions and a Q&A with the artist. Acquavella Galleries, located at 18 East 79th Street, New York, will be open Monday through Saturday from 10:00 am – 5:00 pm for the run of the exhibition. For visitor information, please visit www.acquavellagalleries.com or call 212-734-6300. New York Times: China's Art Market: Cold or Maybe Hibernating?